Even in its final hours, Cassini has managed to deliver some of the most incredible photos its taken in all its 20 years in space. Yesterday, the spacecraft sent back its last look at Saturn’s largest moon, Titan, as it prepares to meet its fate. Besides providing a nice view for the dying spacecraft, Titan is actually providing Cassini with gravity assists in order to change its orbit relative to Saturn. 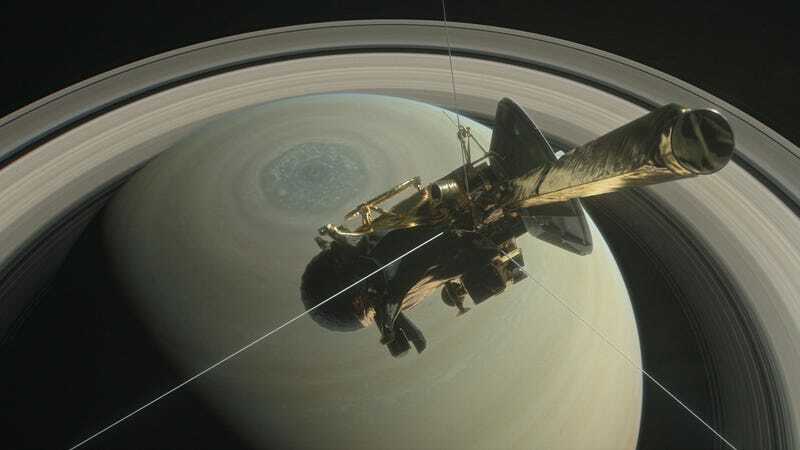 The flyby was an important part of Cassini’s last act. Cassini will spend the next few days preparing for its final plunge. It’s not much of a consolation, but while the spacecraft will be gone soon, its science will live forever.